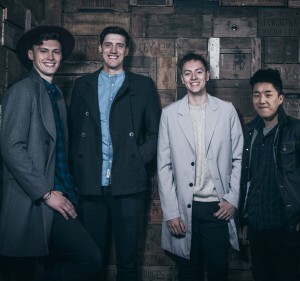 If a memorable party is what you are looking for, then you bring the guests and let these guys 'Bring The Noise'! 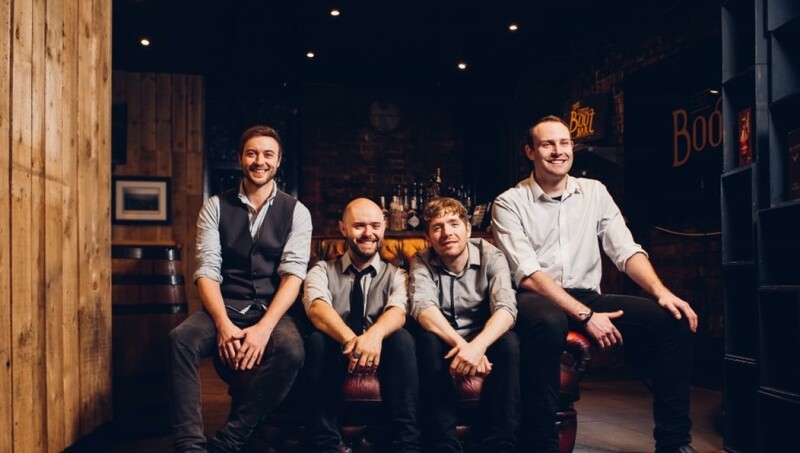 Hailing from Wales, they like to play all the classics they’ve grown up listening to rock and pop music from the likes of Stereophonics, Feeder and Manic Street Preachers, fused with all the latest and greatest pop including Rihanna, Daft Punk, Pharrell. They'll always be sure to throw in all the timeless rock tracks that will get everyone up from young to old like Queen, Oasis, and The Killers. 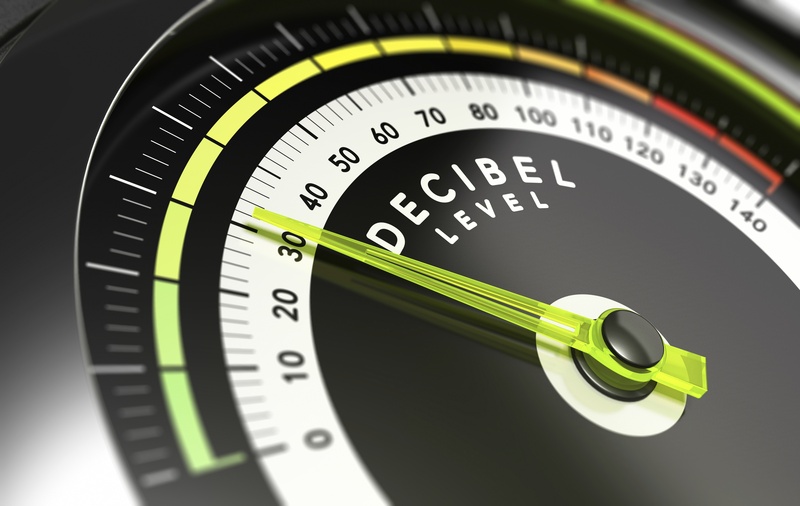 With an unmissable interactive experience guaranteed to get people off their seats, get Bring The Noise! at your function now and get ready to party hard! Number of Reviews and Counting... 81! 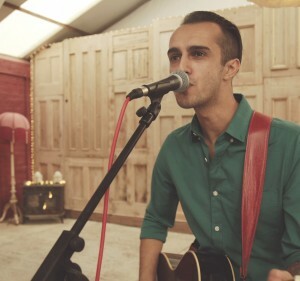 If a memorable function is what you are looking for, then you bring the guests and let these guys 'Bring The Noise'! 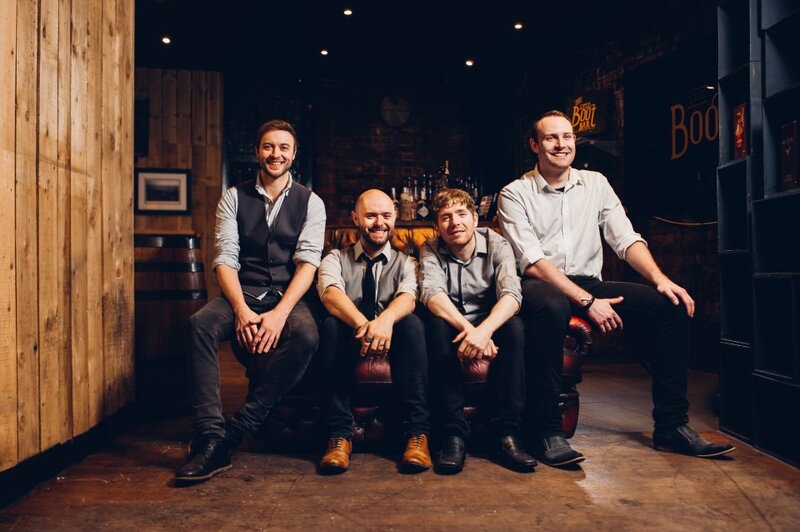 Hailing from Wales, they like to play all the classics they’ve grown up listening to from the likes of Stereophonics, Feeder and Manic Street Preachers, fused with all the latest and greatest pop including Rihanna, Daft Punk, Pharrell. They'll always be sure to throw in all the timeless rock tracks that will get everyone up from young to old like Queen, Oasis, and The Killers. In addition, Bring The Noise! provide a DJ option when they are not performing. 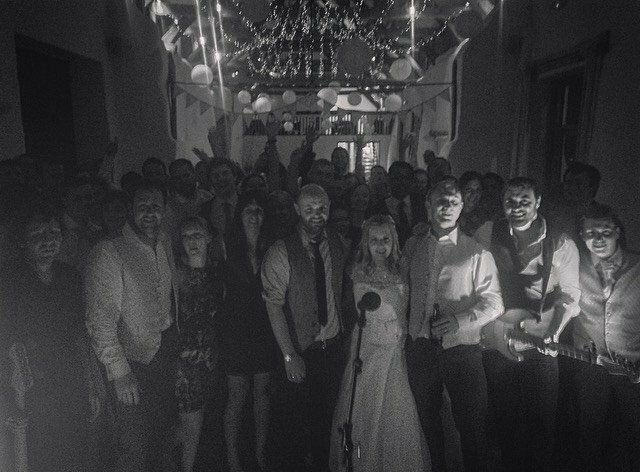 Bring The Noise performed at our wedding in December. The band were incredibly professional and their performance was outstanding! We are still receiving compliments from our guests on how good they were. 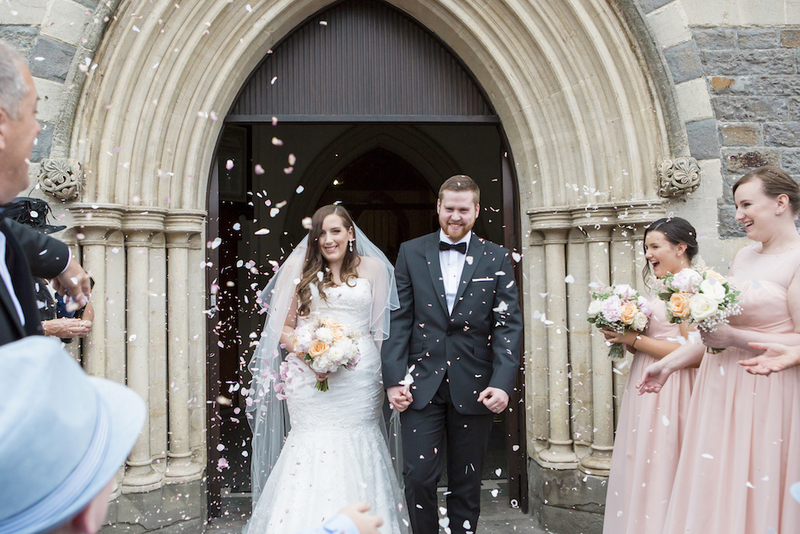 We couldn't be more happy with our choice and would recommend them to anyone! The band were incredible, we loved every minute! Thank you from the Kothari-Barrs. Bring The Noise were brilliant, they really made the night one to remember! The music was fantastic and the guys themselves were so friendly! Thanks so much for getting everyone up off their feet! They were excellent, thank you! We were very happy with Bring The Noise. The guys were very professional to deal with leading up to our party and filling the dance floor on the evening. Catering for all ages, preforming hits from the 60's through to today's hits, creating a very special atmosphere for ourselves and our guests. Thank you very much! Bring The Noise were outstanding! Two of our friends already want to book them for their wedding after hearing them! 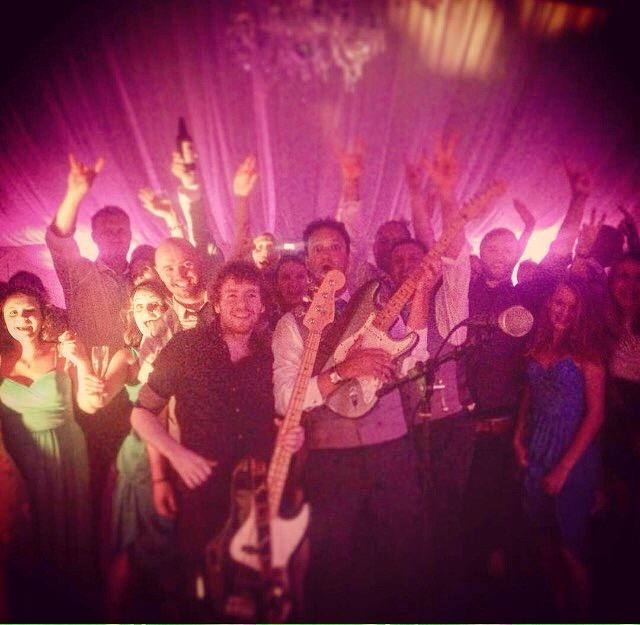 We absolutely loved everything they played and we will definitely be recommending them to our friends and family! Thanks again from the new Mr & Mrs Alfei. The guys were superb - everyone has commented how good they were. They were on time, played 2 fantastic sets and really got the dancefloor going. They couldn't have been any better! Band were friendly, professional and relaxed. Loved their sound, Wish they could have played for longer! Just incredible... kept everyone on the dance floor all night. Thank you to you all. Professionals at their craft. Everyone commented on how great they were. 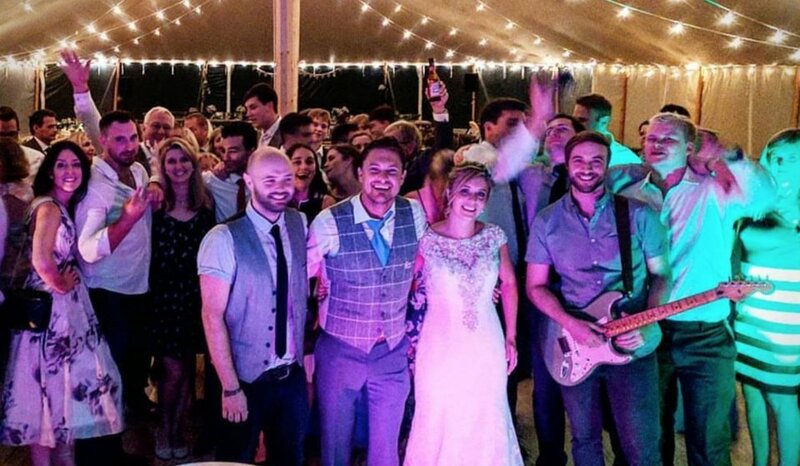 We had Bring The Noise play at our wedding a few weeks ago down in Devon. We could not have asked for a better band. Not only were they friendly, professional and helpful, the quality of their music was amazing. They played a great range of songs and appeared to play what got people up and dancing. Us and our guests certainly danced the evening away. We cannot thank the band enough for making our evening awesome! Thanks Sarah and Andy. The band was amazing! Had everyone up on the dance floor all night!! Such a good atmosphere and a nice group of lads! We couldn't have been happier with our band. We were so worried that people wouldn't get up and dance but that definitely was not the case - the dance floor was filled. Everyone commented on how good our band were and the music / songs they played. The ending in particular was fantastic - they knew how to build to an incredible finale. 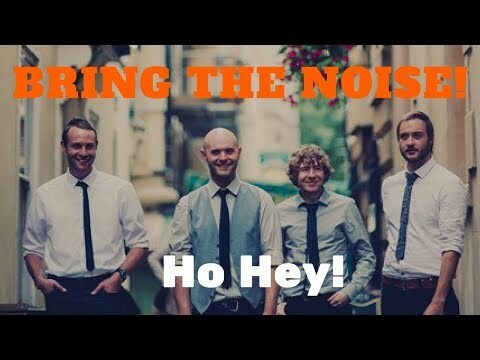 Bring The Noise were fantastic on our wedding day. They more than lived up to expectations, giving a great evening for us and our guests. They were prompt and responsive on our 3 week before check in call, and all went to plan on the day. Many, many thanks to Bring The Noise, we couldn't have asked for better. 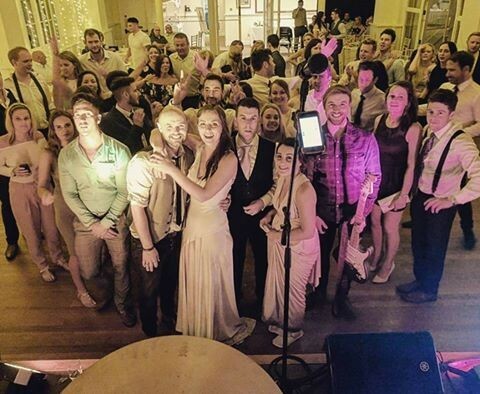 Everyone loved the band at our wedding! They played the perfect mixture of songs and interacted with the the dance floor to keep it filled all night! We never wanted it to end! Fabulous band. Everyone really enjoyed them and were dancing all night. Fantastic band, we had the best night ever! My feet are so sore from dancing so much! 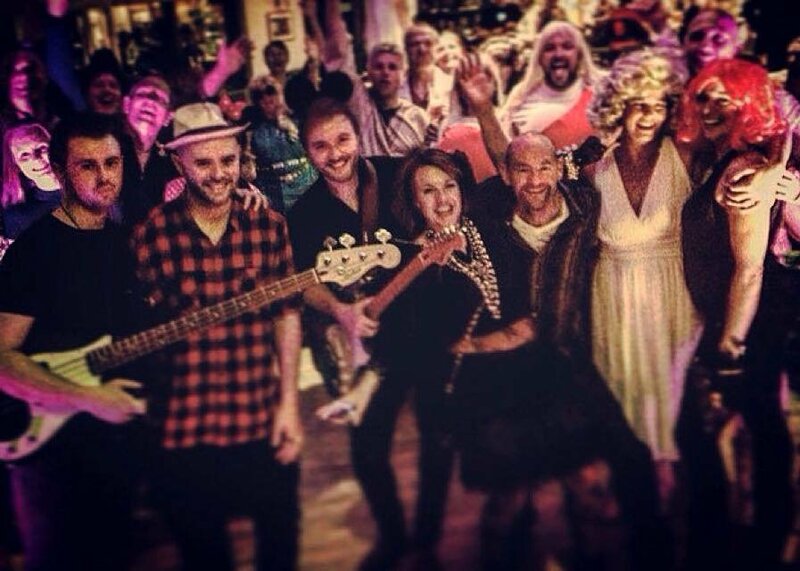 Brilliant band and great guys, everyone had an amazing night at our party and loved the band! 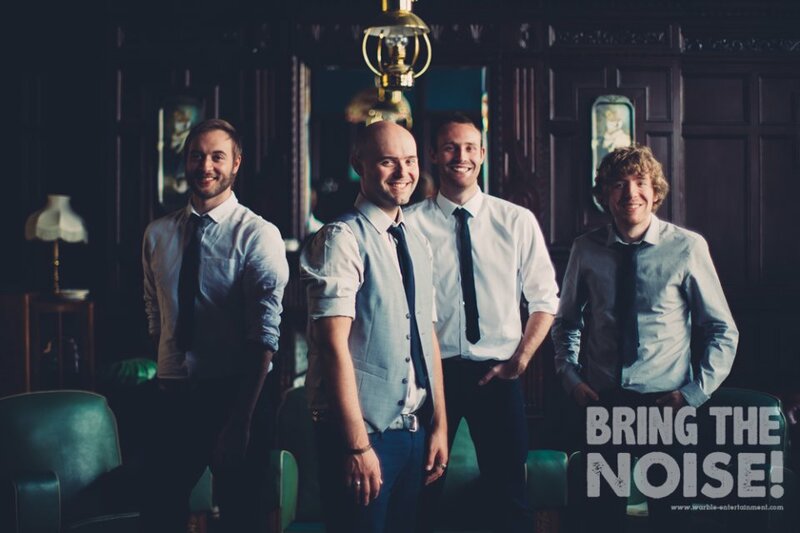 Don't hesitate to book Bring The Noise, I will recommend to anyone looking for a party/wedding band. Thank you again! I can't praise Bring The Noise highly enough for their performance at our wedding reception, they had the dance floor hopping from the first song until the last. They played 3 excellent sets, gauging the crowd perfectly with a mix of tunes which had young and old dancing all night long. 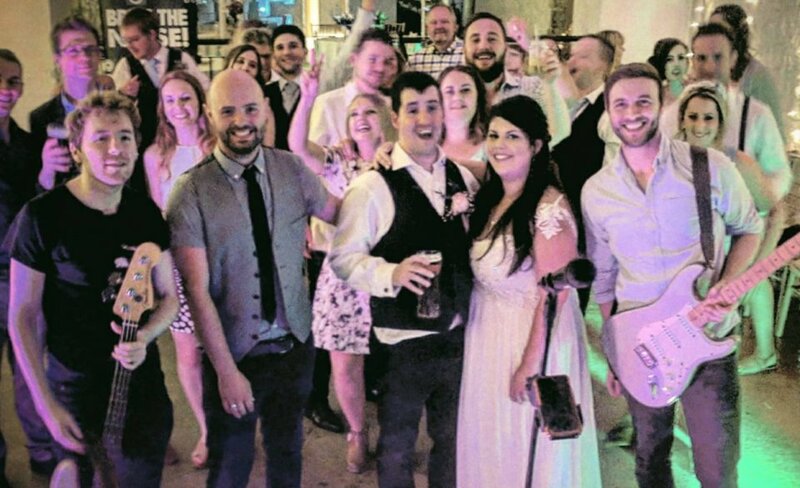 We got so much positive feedback from our guests about Bring The Noise, they really helped make our wedding a party to remember. 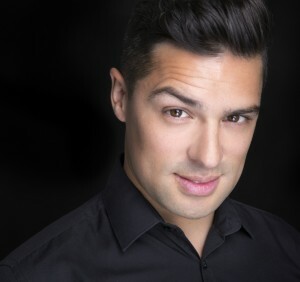 Dan was also excellent to deal with, extremely professional in every way. From what I remember (mark of a good night) the band were great. We were in touch before the day so I knew exactly what to expect, heard demos of songs and was able to select a number of songs to play and for the DJ set which was great as it meant we had the music we knew our friends would dance to. I had plenty of positive feedback from friends as well. They sounded great, were a lovely group of guys and apparently took it well when a 6ft 5 bearded Canadian decided to join them on stage (sorry!). 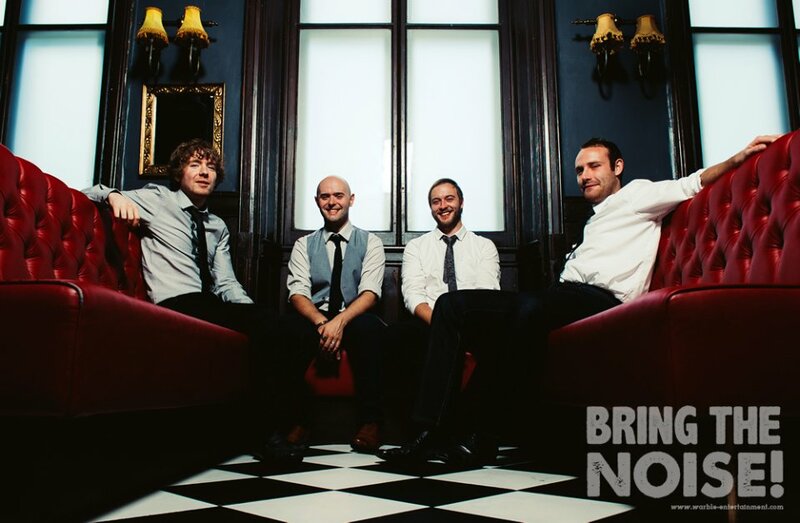 Our friends used Warble Entertainment and so you came recommended and I would have no hesitation in recommending Warble and Bring the Noise! for any event. Thanks for adding to what was a really fantastic and memorable wedding day for us. Bring the Noise! were absolutely incredible! In the lead up to our wedding, they were so helpful and easy to communicate with. We had some restrictions that the venue put on us and they were more than willing to work around these. 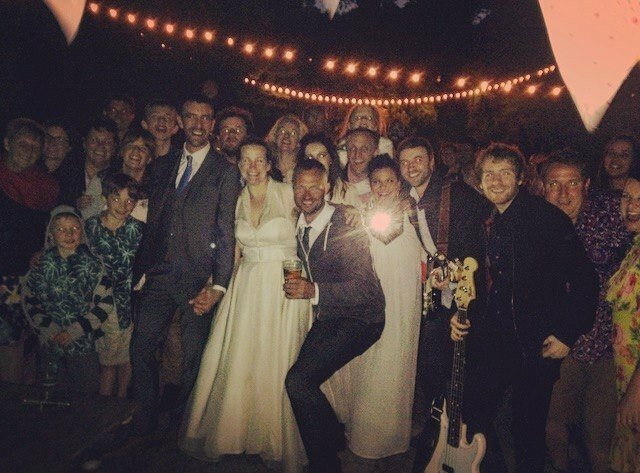 They made our wedding party so special, and all of our guests commented on how great they sounded. They got all our guests up dancing - even those that we thought never would! Bring the Noise! 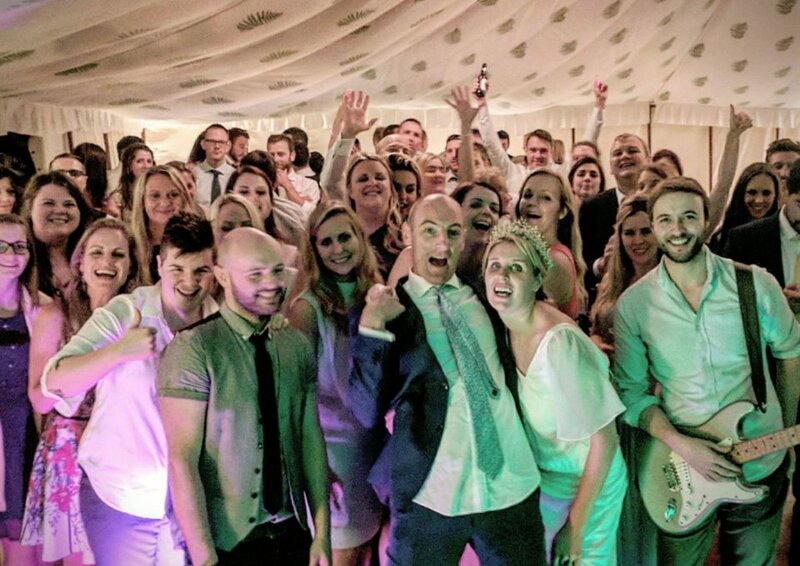 sound even better in real life than they do in their promotion videos and we would thoroughly recommend them to anyone looking to make their wedding a memorable one!! 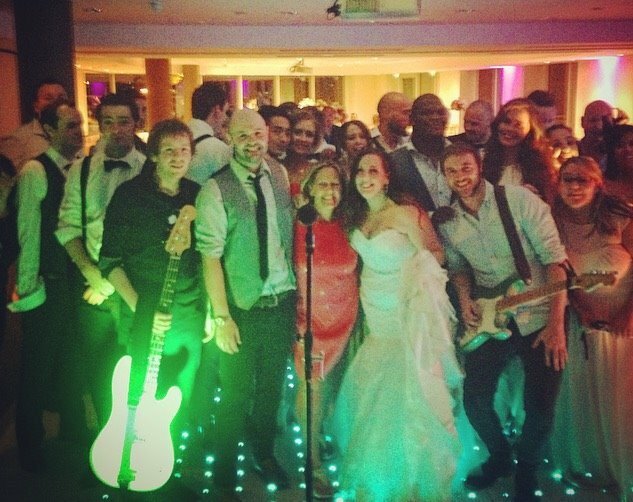 Amazing band, really finished off our perfect wedding day. Family and friends are still talking about how good the band were! Bring The Noise! were incredible. Genuinely so good. We were worried about booking a band without hearing them first, we are both in to music and go to see lots of live bands. But we needn't have worried as they filled the dance floor with hit after hit! We even requested a final song which they played for us. The booking process was easy and straightforward with one chat to the band before the big day. Thank you. Hattie. This band is epic! The guys sounded great in the hall and kept the floor full for every song over the two hours. Organising things beforehand was a breeze. Didn't need to make any requests as loved absolutely everything they played, a fantastic mix of indie, rock and pop in the set list which we'd grown up to and something for everyone of all ages. I danced and jumped around the entire 2 hours until the clock struck midnight and my tightly pinned up hair-do was bouncing loosely in curls around my shoulders which was exactly what I wanted and I couldn't leave the floor. 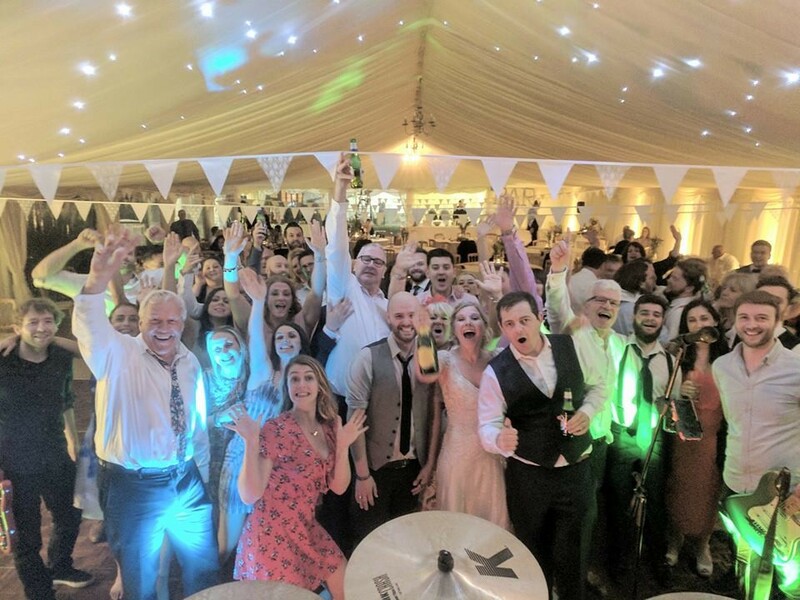 Having a great band was a top priority for the wedding for us and these guys made the evening, great feedback all round and come highly recommended. Thank you!! Amazing band. Kept the party going right until the end, we didn't want them to stop! They made our evening even more special by performing our first dance live. Lots of our guests have commented how good they were. Thank you, Bring the Noise, we would love to book you again in future!! Lian & Sean. Bring The Noise! are an absolutely amazing band. They played at our wedding reception and the dance floor was full from beginning to end. Everyone loved them and many have asked us for their details. They played a mixture of songs to suit everyone. Our reception was held in a marquee but the volume of the music was perfect and you could hear all the words to the songs played. Some bands have the volume so loud that you cannot hear the words but Bring The Noise! had it just right. Would highly recommend and cannot wait to hear them again! Thank you Bring The Noise! for making our wedding reception one to remember! The band was amazing. We were dancing all evening and everybody had a lot of fun. Highly recommended! The band were fantastic! They got guests of all ages on the dance floor and have a great mix of music. The pre wedding calls were also incredibly helpful. Bring the noise we're fantastic! They got the whole room up and dancing all night! Great energy and atmosphere!! Bring The Noise! were absolutely fantastic! 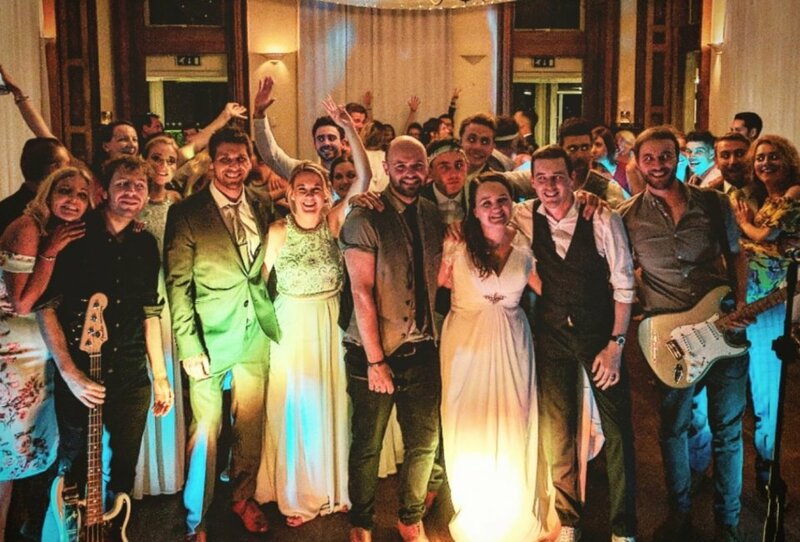 Brilliant organisation, brilliant music, and the feedback we received from all guests at the wedding was extremely positive, nobody wanted it to end! Credit to them, they stayed and played at least another half hour when they were meant to have finished. Absolutely AMAZING!! They were outstanding. We had the best time and the party was most definitely a highlight. I had so many compliments about how great the band were - so thank you! Even got my 89 year old Grandad onto the dance floor! We had the absolute pleasure of having Bring The Noise! play at our wedding in May. These gents were a credit to all the music they played, choosing a set list that had our friends and family on their feet from start to finish, and I dont think that at any point of the evening there was a song that wasn't danced too! 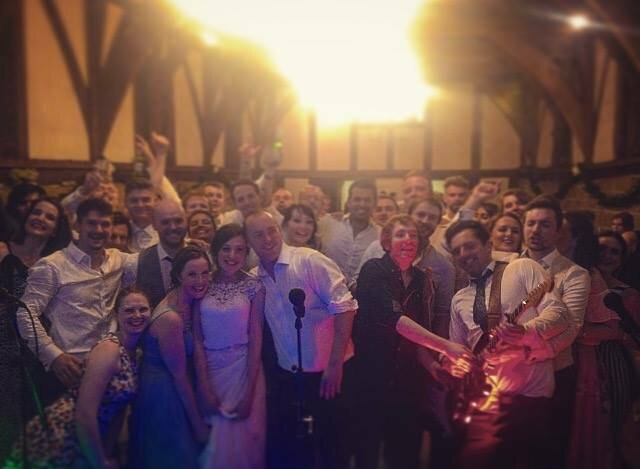 Each of our guests commented on the skills and ability of all the musicians, and credited them with being 'more than a wedding band'. 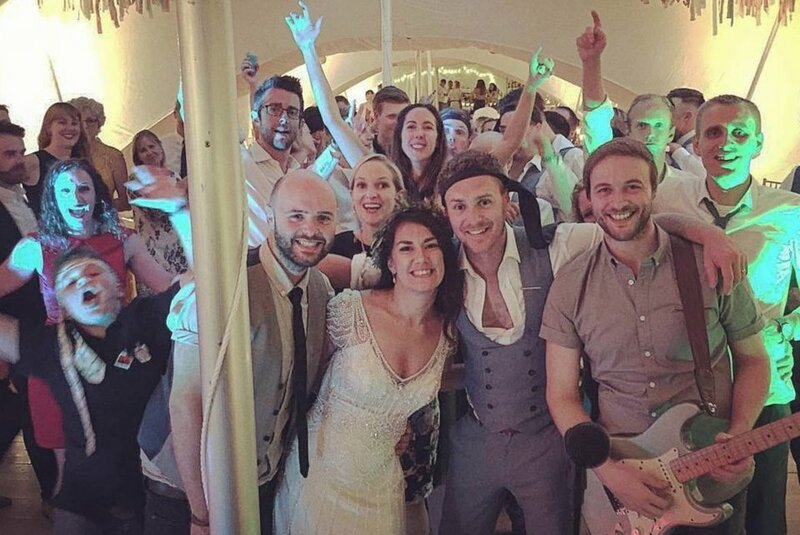 They brought our day to a wonderful crescendo, ensuring everyone remaining on the dance floor had achy legs from all the dancing and sore throats from all the singing. We cannot thank them enough for the joy they gave us and our guests, and our venue also commented on the grace and courtesy that they showed when organising the details. I would recommend this band to anyone and everyone and hope that this review secures them more bookings in the future. Much love, Beth & Phil. From start to finish with the booking and the event everything went perfectly, all questions were answered very promptly and I had no worries at all that everything was going to go to plan. 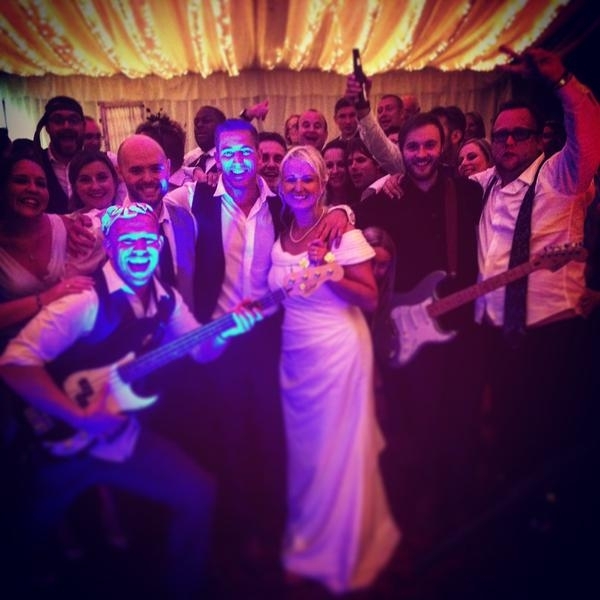 The band were amazing and exactly as we had hoped for at our wedding. Thank you so much for playing our first song, it was perfect and so much nicer than playing it on the iPod! I will definitely be recommending these guys! Thank you. Thanks so much to Bring The Noise! & Warble Entertainment. The booking process was quick & easy, both the management company & the band answered any questions we had promptly. The band were brilliant! We loved dancing with our family & friends! The music was a great mix, high quality & they kept the dance floor busy all night. 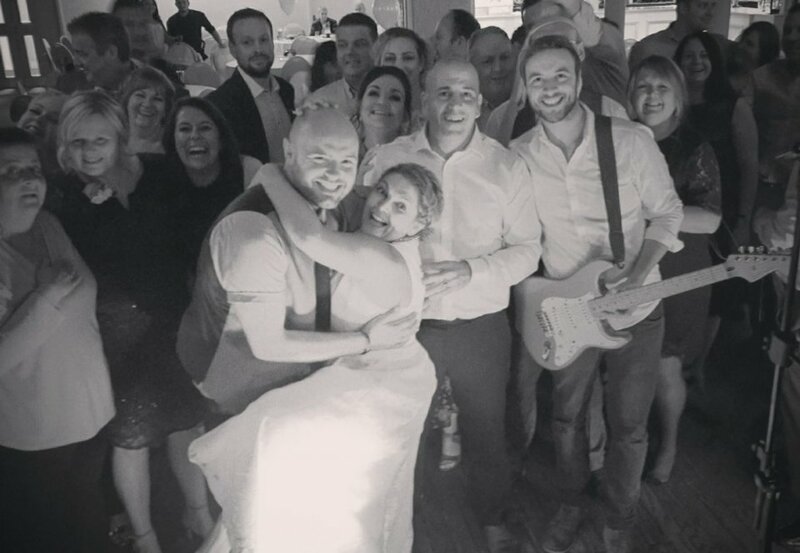 The band were so friendly & accommodating, they learnt our first dance how we wanted it to be played & included a request song for our niece in the set. All in all a fantastic experience! Brilliant bunch of guys. Lovely to have around. We will use them again - but obviously not for another wedding!! They played exactly what we all wanted to dance to - hands down the highlight of the evening for me. Fantastic - great band, superb musicians and were key to a memorable night. Thanks lads! Dan and the band were absolutely fantastic! Great communication leading up to the day and very professional arriving and setting up even though our speeches had run over slightly :) All the guests loved the music and were commenting on how great they sounded and asking us where we had found them! The dance floor was never empty and we had the best evening. Thank you guys, hope you enjoyed the fish and chips! I honestly cannot rate these guys highly enough. Absolutely crushed it and made the evening of our wedding everything we wanted. The place was absolutely pumping all night! If I ever have another party/event these guys are my first port of call!! WOW! What a fantastic band! I had contact with Dan. He was a pleasure to talk to about my wedding and he and the band accommodated my needs for the evening. I felt like I was at the real concert with all the songs that were played, I got the Glastonbury feeling! Thank you to bring the noise for making our day complete. Ben and Steph. Dan and the band were absolutely fantastic and made our evening do incredible! 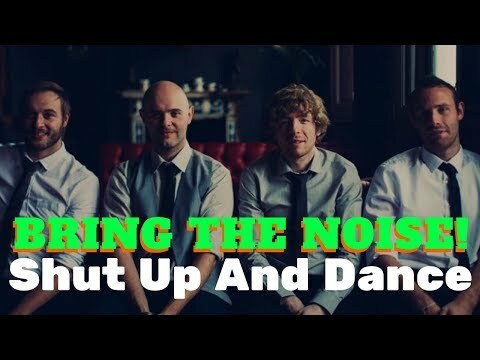 We've had so many positive comments about Bring The Noise that it completely justifies the decision to have them play at our wedding. Dan's communication was brilliant and you could certainly tell that he is extremely experienced in this line of work; completely putting me at ease with the requirements we had. Set up on the day was a smooth process and you'd have hardly have known they were setting up! Music was fantastic and even though we left the setlist in the hands of Dan and the band, it completely suited our (and our guests) taste in music and the dancefloor was packed all night long! 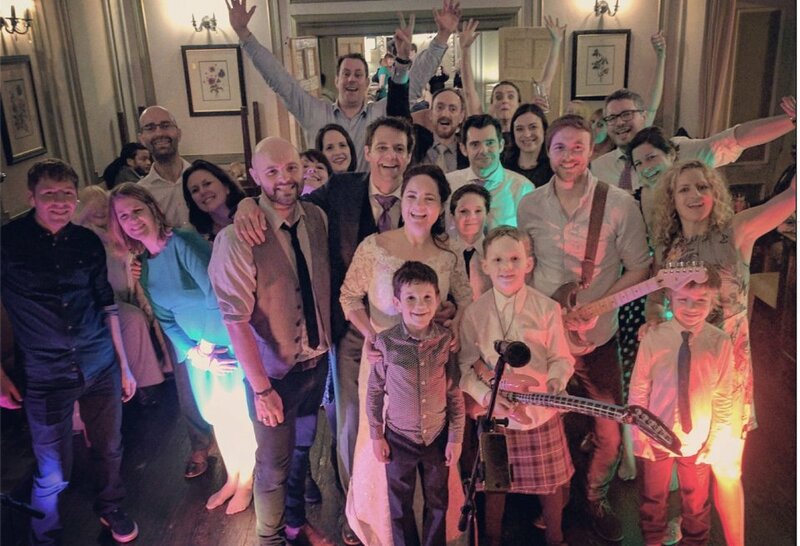 Special mention goes to them learning one of our favourite songs to play after the first dance (The Pina Colada song), which was thoroughly enjoyed by our close friends as they know how much we like the song. Overall, absolutely brilliant experience and I would have no hesitation recommending them to other people for their event or big day. It was a pleasure to deal with Bring The Noise! 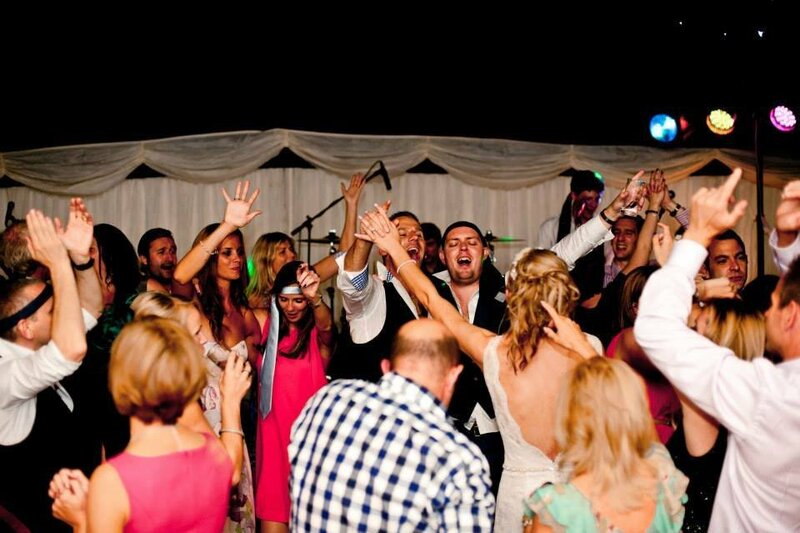 Bring The Noise were fantastic at our wedding. They were very professional throughout, even before the event organising set lists and details with the venue. Thanks Dan for ensuring everything ran smoothly and nothing was too much trouble. We did some research beforehand to find an excellent welsh band who play all the classics from each decade and Bring The Noise were exactly what we were looking for. They were easy to book and the team kept in contact well. The band helped get the the party started and everyone had an incredible time. One we will always remember. Thanks for sharing our day with us. Absolutely brilliant band and couldn't do enough for us. They gave us a brilliant night. 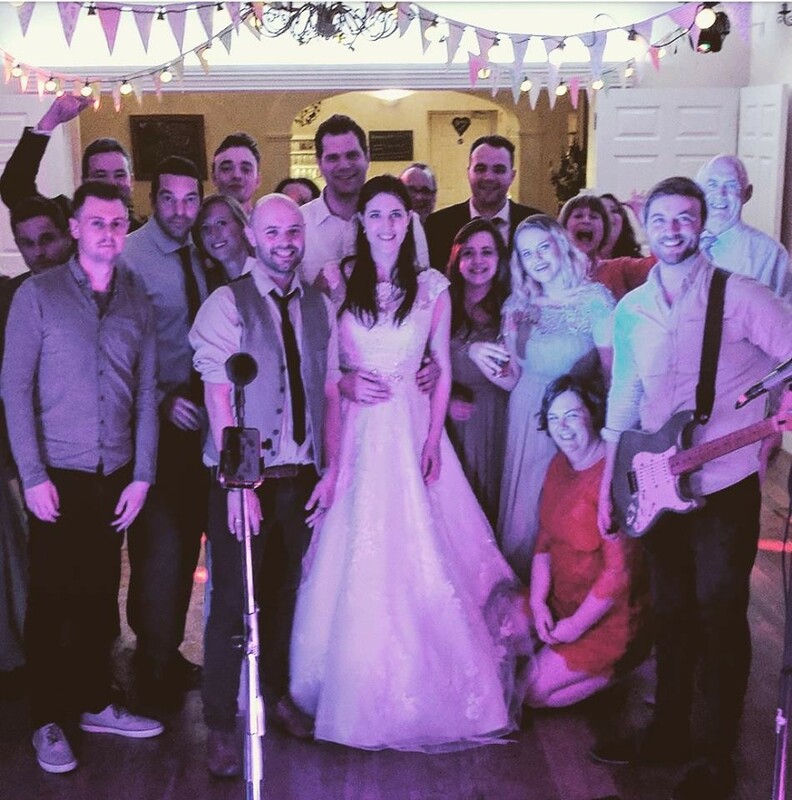 Thank you so much to Bring The Noise for absolutely making our wedding evening! 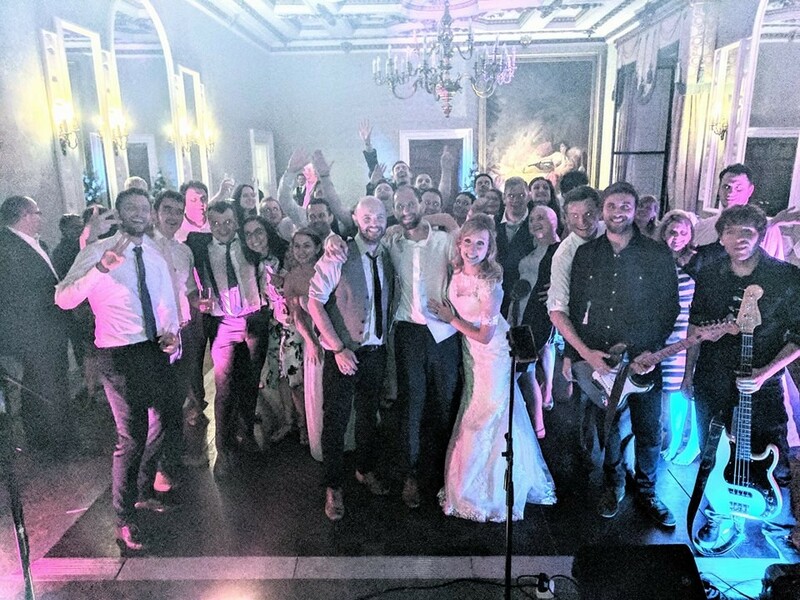 I had some concerns about our venue being too small to fit them all in prior to the day but the band and everyone at Warble reassured me it would all work out and it did! My queries were always answered within a day and it was very helpful to have a call from the band themselves three weeks prior to the wedding. All of my guests commented on how great you all were and I couldn't have asked for anything more. It's just a shame we got kicked out by the venue quite suddenly at the end! We were all having so much fun we didn't want it to end! Thank you so much again. Amy. 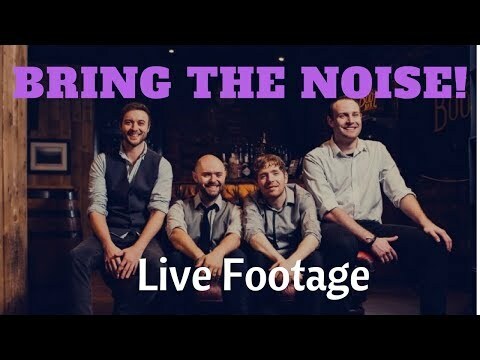 We hired Bring the Noise to play at our wedding in Cardiff. We were absolutely delighted with them from the moment they arrived. 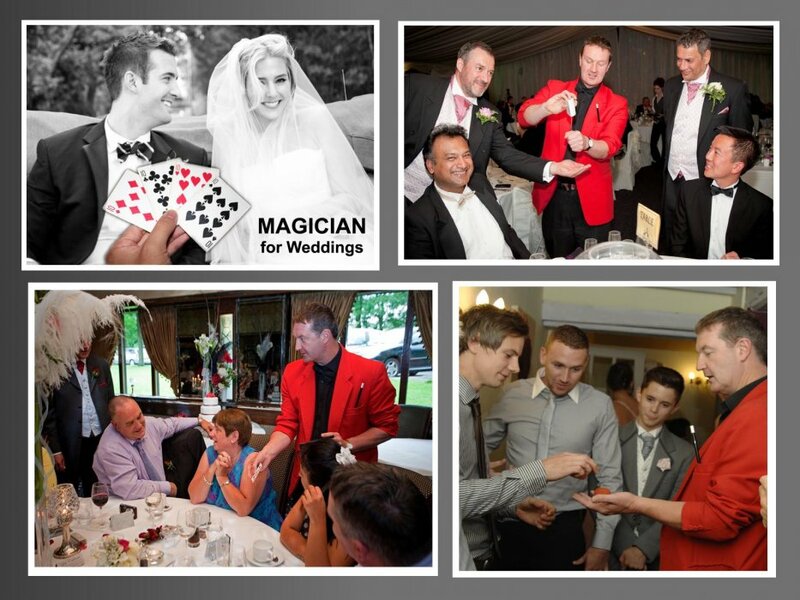 Their set up was discreet and professional and all of our guests were amazed by how brilliant they were. The band played all our favourites and the dancefloor was packed all night. Nobody wanted them to finish. 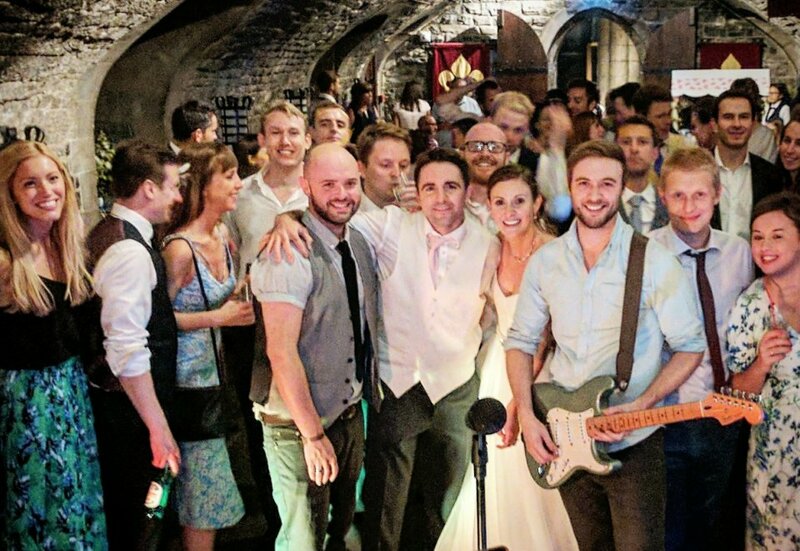 I would thoroughly recommend them to anybody thinking of booking the band- they took our wedding to another level and people will be talking about it for ages. Really enjoyed the band, very accommodating and very good communication. Bring the Noise! were fantastic. They contacted me well in advance of the event to discuss the playlist and other details, they were polite and punctual and very accommodating on set up times. They kept everyone dancing and were absolutely brilliant musicians. Warble's processes were efficient and friendly. All my queries were answered very promptly and there were no problems or hiccups along the way, the booking couldn't have been easier. I'd be delighted to wholeheartedly recommend Warble Entertainment and Bring the Noise! The band was fantastic. The event was a formal banquet for a mixed group of around 250. There were around 10 children / teens, then the age was a good mix from their 20's to 90's and the dance floor was full all night. An excellent mix of songs, I cannot praise the band enough and will definitely use them again. 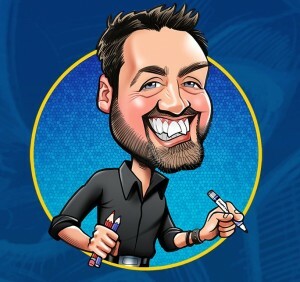 Communication was great too, I emailed and spoke to Dan prior to the event and he even contacted the venue to discuss requirements and check where they should park etc. Don't hesitate to book Bring The Noise, they were brilliant. Absolutely brilliant. Setlist was perfect and just what we wanted for our wedding. Would definitely recommend to friends and family. Guests have already been asking about the band. We had a great night, everyone enjoyed themselves and there were lots of comments about how good you were. Music was varied and upbeat, absolutely great. Thank you very much to you all! Dan and the band were brilliant. They played lots of top songs that kept people on the dance floor from the start to the very end. Their last song turned out to be another 5 songs because they were so popular. Thanks again for such a great evening. 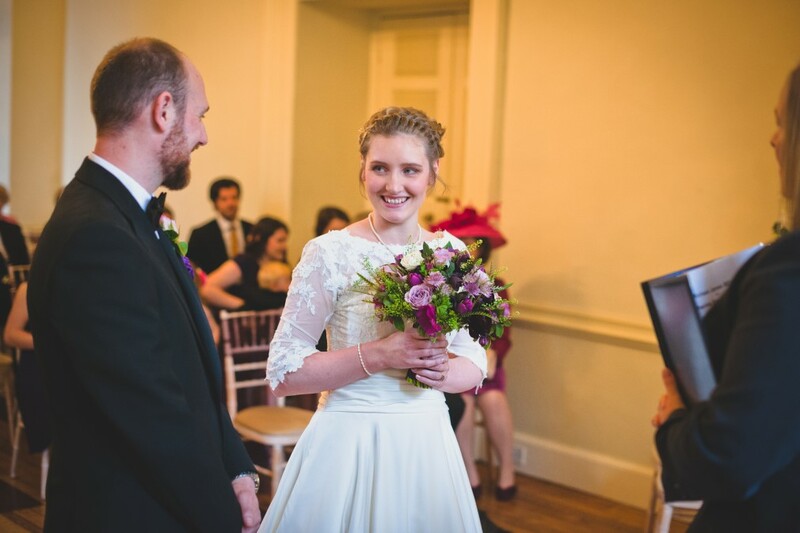 Everything ran really smoothly in the run up to our wedding day, everyone I dealt was friendly & helpful. On the night the guys were lovely and the music was excellent. Many encores were requested and everyone danced the night away. Really great band, the perfect end to an amazing day! The band were really helpful in making all arrangements. On the day they were super friendly, fun and the dance floor was never empty with the choice of songs they played. They also let the children play on the drums when they were setting up which we really appreciated. We and our guests had an amazing night, didn't leave the dance floor and loved the range and quality of their set list. Loads of people commented on how amazing the band were. 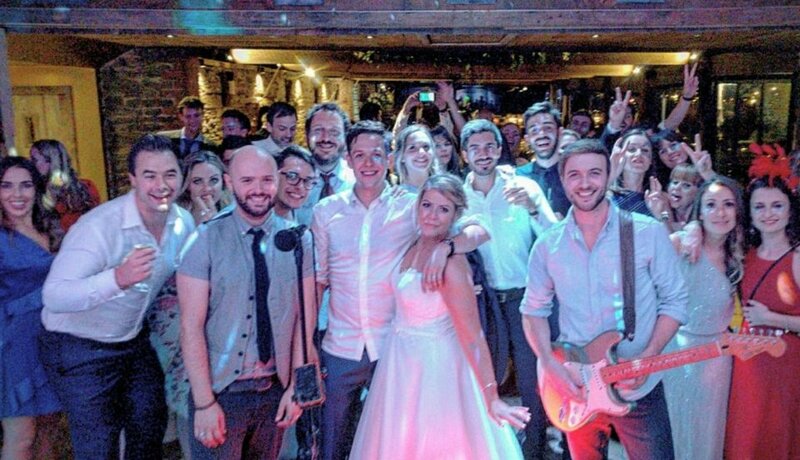 They were also really nice guys, we spoke to them a few weeks before the wedding and they were happy to play our first dance song in the way we'd asked them to. They communicated well with the venue and we didn't need to worry about anything on the day, they were very professional. Thanks for a brilliant night! You made the day very special for me and Leah by getting everyone up on the dance floor enjoying themselves. I lost count of the amount of people that said my band was amazing and I strongly agree with them. Thanks again for making our special day so remarkable. Band read the room well, got everybody dancing, lots of people commented on how well they did. Really impressed!! I am so glad we booked the band for our wedding! They totally made the night and their music is brilliant. Modern and cool and totally professional. We had a lot of comments on how much they made the night so thank you so much! Would definitely use them again for any party we have. Myself and my husband were thrilled with how quickly our queries were always responded to. "Bring the noise" played in our wedding and they were absolutely outstanding and they played a variety of songs that suited all ages. The dance floor was packed all night and I had so many texts the following day asking who they were and where they were from as everybody thoroughly enjoyed their performance. And what a lovely bunch of lads they were too, so friendly and they even joined in the fun in the photo booth, great memories for ever so thank you very much. Would highly recommend them and hopefully I get a chance to book them again in the future. All the best. Bring the Noise! were dedicated and very professional. They litteraly brought the noise and gave a proper rock n roll dimension to our wedding. Their musical repertoire is vast and they are pretty laid back and flexible to play virtually anything you can think of, they were also sound during the DJ sets and got the crowd jumping. I would definitely recommend them. Bring the Noise are an amazing band. They are fantastic musicians and nice guys. Their music completely made our party! Thank you. We had Bring The Noise! for our wedding party and we thought they were fantastic. Leading up to the day they communicated with me so we all knew what to expect and they worked with me to understand what music we might want played. They had loads of energy and the setlist was brilliant, exactly what I wanted and I danced all night. 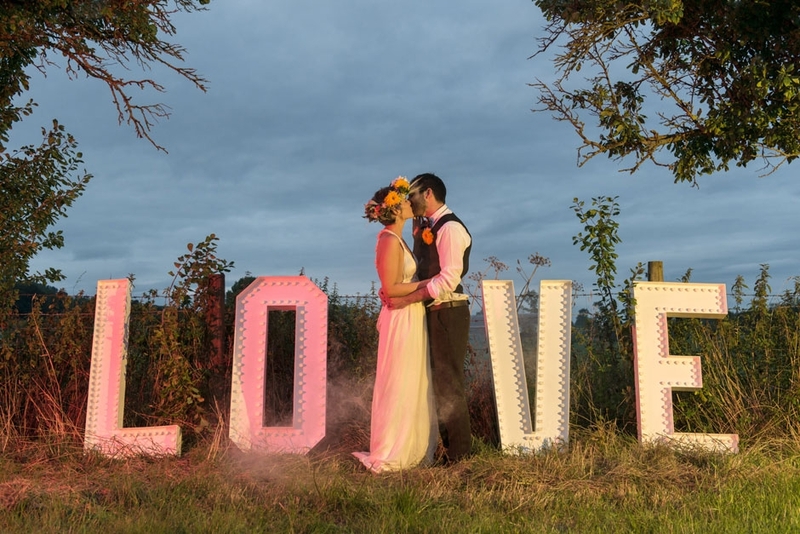 We have had comments from lots of the guests who also thought they were brilliant, I would definitely recommend! 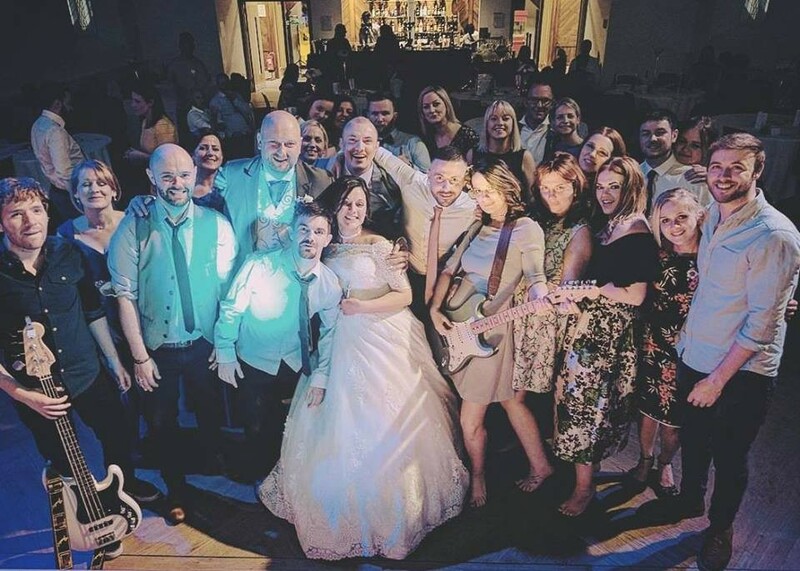 We couldn’t have been happier with the guys on the day, the music was spot on and they sounded great, everyone is still raving about them, pretty sure they will have got another load of booking from our guests! Thank you for your great service too, everyone was really help on the lead up to the event. Thank you for such a great night. Amazing from the first phone call to saying goodbye at the end of the night. Prior to the wedding communicate was great and they were flexible with our song choices. They were punctual on the day and when it came to the music, they really were the real thing! Music is such a big thing for us and getting that right was really important and we definitely made the right choice. Thanks guys. What a fab band! Everyone had such a great night, and the guys definitely made that happen! They have been the talk of our friends ever since and now we just need to organise another party for them to play!!! 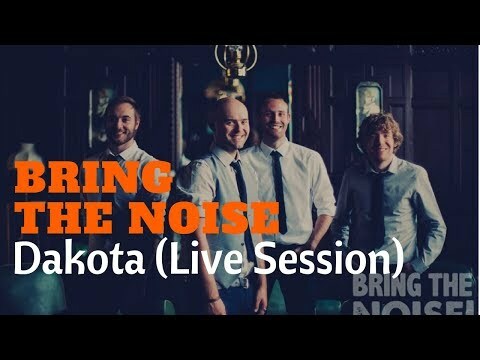 Hi Warble, yes, I would love to give feedback on Bring The Noise! The guys were awesome to deal with before the event and everybody thoroughly enjoyed the music. The night was so much fun and they really got everyone in the party spirit. I also emailed them and said thanks for a great night. I will be recommending them to everyone in future! Late Finish - whilst most venues are licensed until midnight, Bring The Noise! realise that some are fine to continue the celebrations until 1am or 2am. First Dance - wherever possible, Bring The Noise! will learn your first dance song providing enough prior notice is given and the song is within the style of the band. If this is not possible The Playlist would be happy to play your first dance via their PA / DJ equipment. Additional Sets - Bring The Noise! are happy to perform for 2 x 60 minutes, 2 x 45 minutes or 3 x 40 minutes. As standard Bring The Noise! are happy to perform for 2 x 60 minutes, 2 x 45 minutes or 3 x 40 minutes. 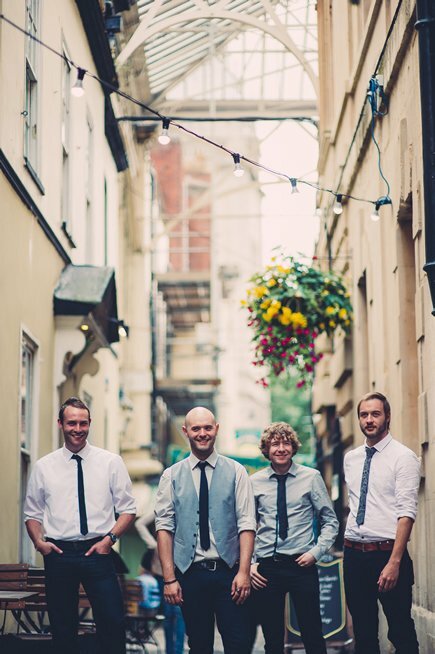 Cathy and Michael's Gloucestershire Castle Wedding with Bring The Noise! 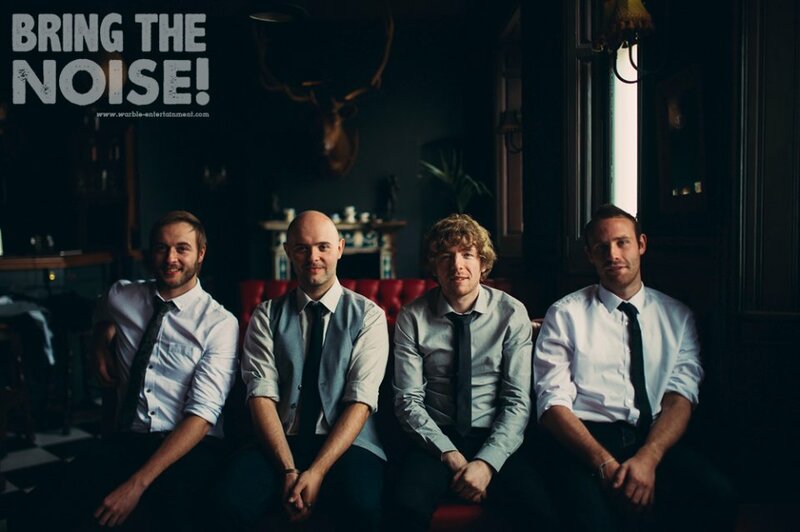 Sarah and Shaun's Wedding with Bring The Noise! 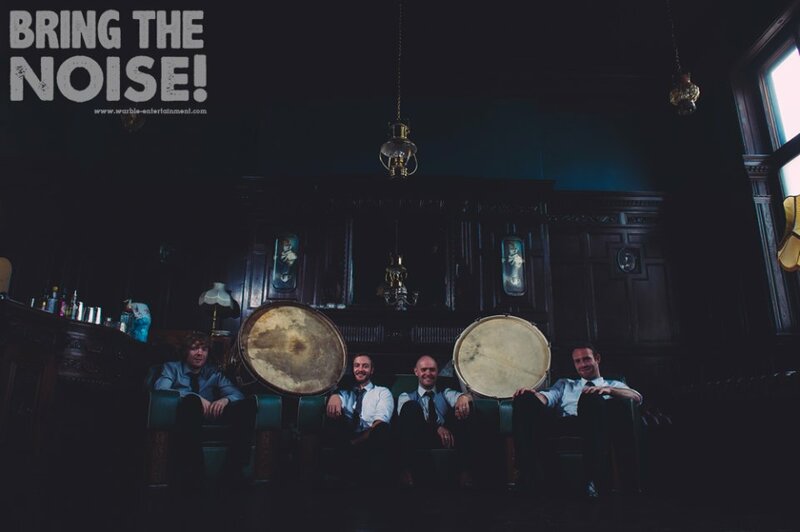 Customers who have enquired for Bring The Noise! 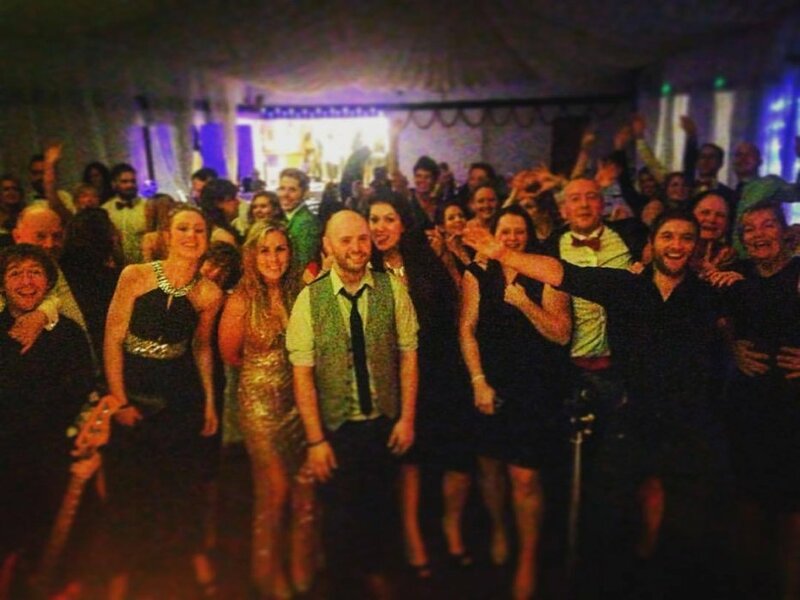 have also been interested in the following function bands who are also available in Cardiff, Gloucestershire and cover the Midlands, South Wales and South West of England. For more information or further options, please call 0845 643 9384.